You don't need any explanation before you can start playing this incredibly standard slot. What's more, you will probably get the feeling that you've played this game before... Until one of the fat ladies shows up on your reels, that is. The music on this slot plays a large role and it should. That is, even though the theme is the Opera, Microgaming has put a lot of standard elements into this game. Without the music, there isn't much to enjoy. Fat Lady Sings is a well-known concept for people who are familiar with English proverbs and it also is a great and well-known slot by Microgaming. It is a simple slot with a fun bonus game in which you can win quite some money. However, this slot isn’t as well received as many other slots by this same software developer. 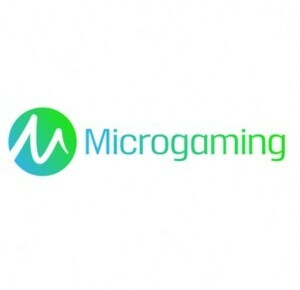 It has been said that Microgaming hasn’t put enough time and energy into the development of this game and that that has led to a mediocre slot. On the other hand, the slot does have a 96,5% payout percentage and is available at many online casinos. How to play Fat Lady Sings? You don’t need any explanation before you can start playing this incredibly standard slot. What’s more, you will probably get the feeling that you’ve played this game before… Until one of the fat ladies shows up on your reels, that is. The music on this slot plays a large role and it should. That is, even though the theme is the Opera, Microgaming has put a lot of standard elements into this game. Without the music, there isn’t much to enjoy. Fat Lady Sings is equipped with free spins and the way in which you can win these free spins is quite unique. When three scatters land on your reels, you receive five to 15 free spins with a multiplier ranging from 1x to 5x. For four scatters, you receive five to 20 free spins, also with a multiplier of 1x to 5x. When the scatter shows up five times, you receive nine to 30 free spins with the same multiplier. During free spins, the scatter leads to money. Also, during free spins, more wild will appear. These wild symbols enter your reels in a stacked fashion on reel two and four in order to increase your chances of winning. When you have a good number of free spins and a pretty okay multiplier, your wins could add up quickly. The only problem is that this is the only feature on this slot and that this feature isn’t even that fun. That is, you play free spins on the same reels as regular spins, which already weren’t too great to begin with. Fat Lady Sings has a total of 25 pay lines and you can determine how many of them are active. You can configure the number of active pay lines at the bottom of the slot. Also, you can alter your total wager by altering the coin value and number of coins per pay line. Additionally, Fat Lady Sings has an autoplay function, so you can just sit back, relax, and watch how the machine does all the work for you. However, it remains to be seen for how long playing on autoplay is fun on Fat Lady Sings.